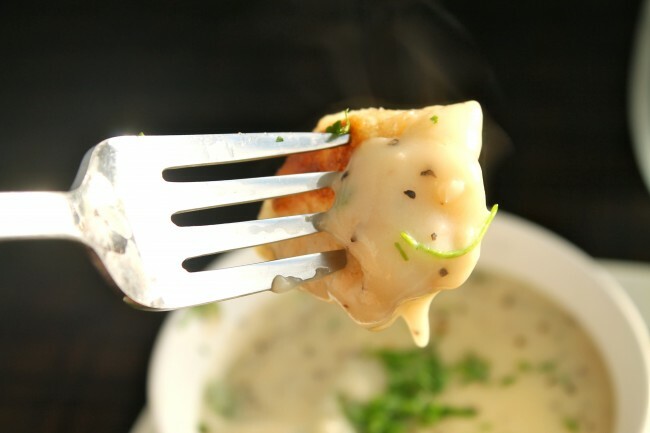 I started making this sour cream and chive sauce when I started making pierogis – super addicting little pasta dumplings filled with mashed potatoes. Pierogis are a traditional Polish dish, so when I started dating Kyle (Kyle = part Polish) he brought them into my life, and I’ve never looked back. 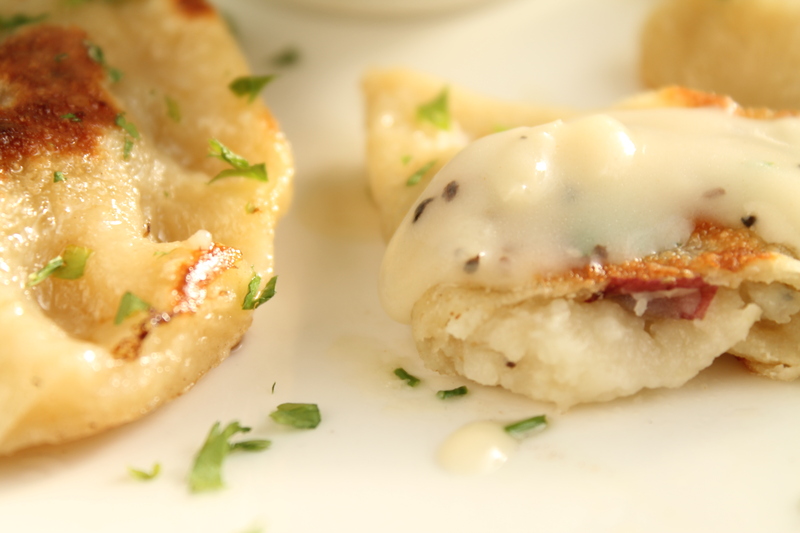 My pierogi recipe can be found here. In the meantime, file this sauce recipe away for not just pierogis, but for poultry dishes as well – it’s a nice, gravy-like accompaniment for turkey or chicken, although it’s also good as a creamy pasta sauce. Heat the oil and lemon juice together in a medium-sized saucepan. Add garlic and chives. Saute garlic and chives until garlic is cooked through, about 1 minute. Add salt and pepper to taste. Add flour to saucepan to make a roux. Stir contents of pot together and let roux cook for 1 minute. Stir stock into the saucepan a few tablespoons at a time, stirring constantly to break up and fully incorporate the roux for a smooth sauce. Bring mixture to a simmer and let it thicken. When sauce has thickened, stir in sour cream. 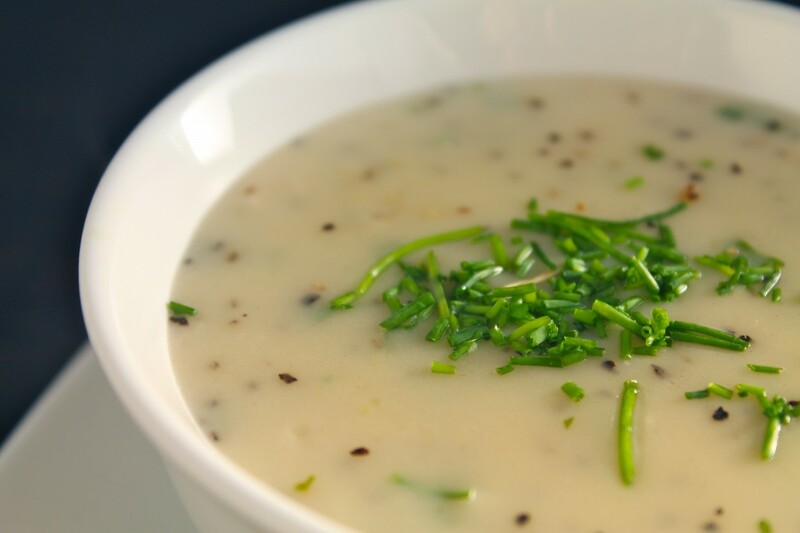 Garnish with fresh chopped chives and serve over pierogis, chicken, poultry, or pasta. Is there a functional reason not to use butter for the roux? It’s just that I try to keep kosher, and this is already a dairy meal, so I don’t see the point in using olive oil for the roux when it’s easier to get butter to cooperate with that process anyway. You can definitely use butter! 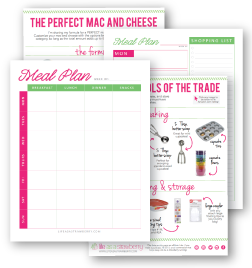 There’s an online recipe converter here that might help!